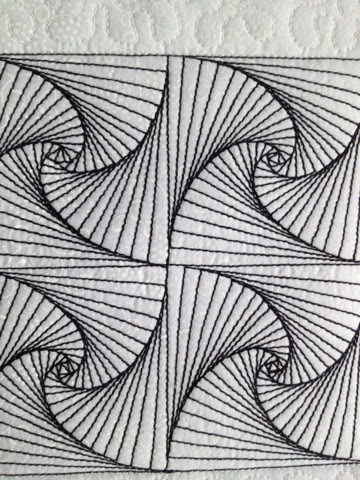 Pattern: Rick's Paradox - to the Right. A box of four Paradox tangles. Last year (May 2013) I took a class at at Serge & Sew called Doodle Birds with Susan S. based on Zentangle. I have to admit I haven't finished my little bird yet but I came home and did the centre to this wall hanging which is made up of a box of four Paradox tangles of Rick's Paradox - to the Right. 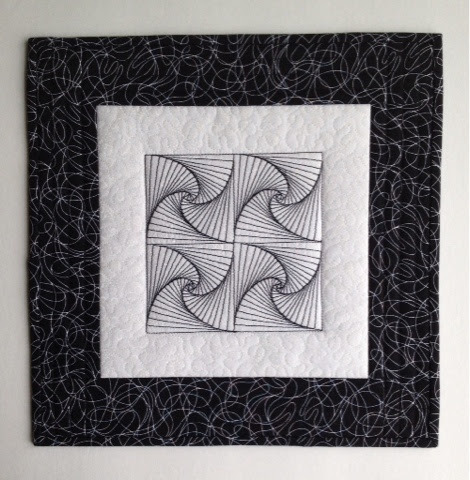 I finally finished it (March 2014) into a wall hanging by adding a border of black & white fabric from the Henry Glass & Co line, Black & White & Red Allover (Pattern 1593). 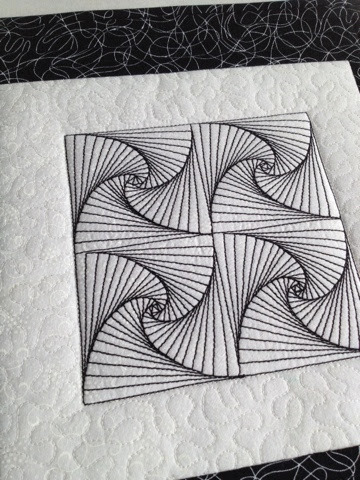 It's hard to see in the picture, but I did several lines of straight quilting in each border approximately 1/2" apart. 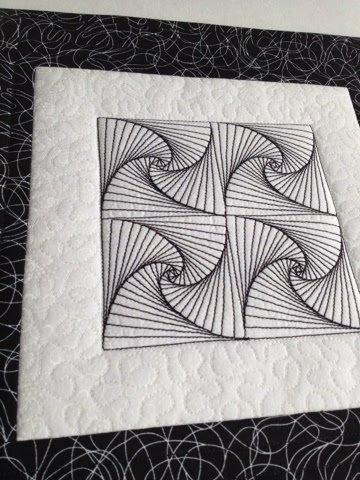 This will hang on our ever-growing wall of mini quilts but will be my gift to Greg for our 21st anniversary next week as he likes the optical illusion feel it has to it.